Situated in the heart of the main village 'chora' we are only a stones throw away from all the bars, clubs and restaurants. We are a family run place offering great hospitality and a pleasant, relaxing atmosphere. Our air-conditioned rooms feature a flat-screen TV, table top fridge, and en suite bathroom including free toiletries. We also provide luggage storage facilities. 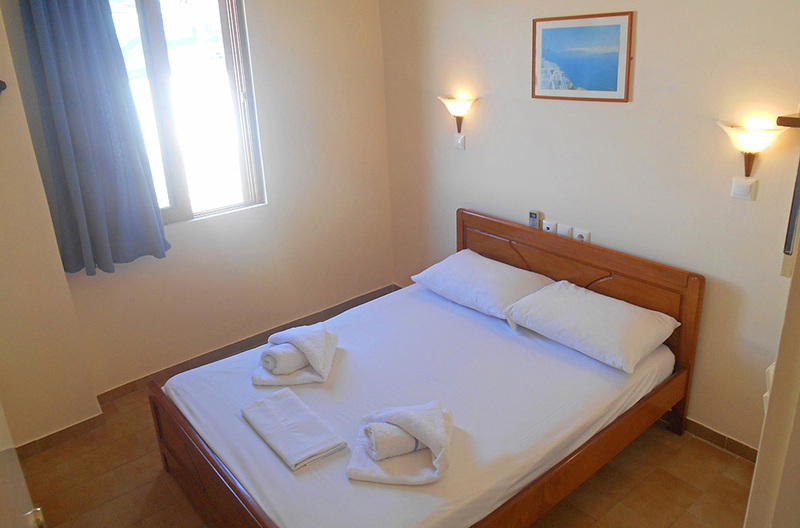 We offer both private twin rooms and private double rooms. All our rooms are en suites. If you would like to add a third person please email us for more information. Ios Greece belongs to the Cycladic islands. It is particularly famous for the wonderful beaches, the picturesque village of Chora and certainly the intense nightlife that attracts mostly young crowds. Beach parties start in the midday and last till the early hours in Mylopotas, making it a popular place for teenagers and youth.